Did Images of the Next Alfa Romeo Crossover Leak Early? Even Sir Mix-A-Lot would struggle to like the back end of this odd-looking crossover coupe. 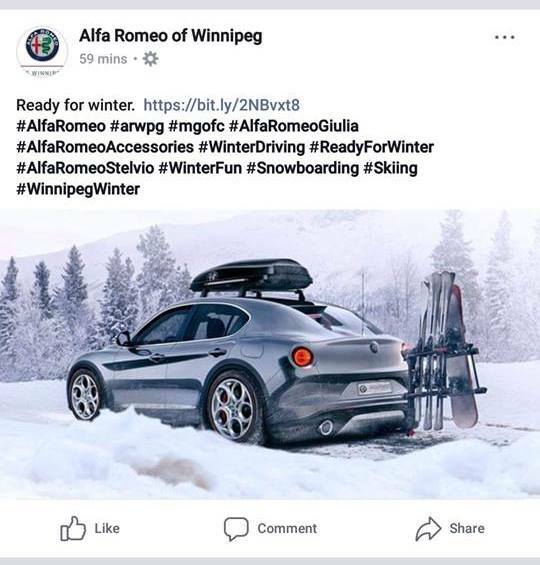 An image of an unnamed Alfa Romeo crossover "coupe" was allegedly posted to the social media of a Winnipeg Alfa Romeo dealership recently, sparking speculation that this could’ve been a leak including the brand’s second sport-utility offering. A Facebook user shared the image in a private group, and examination of the dealer's social media reveals no such post. 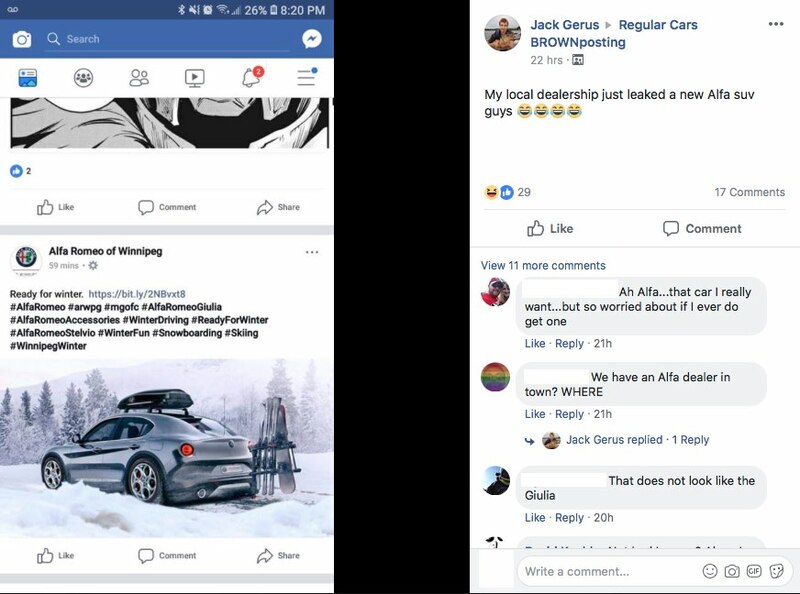 Alfa Romeo of Winnipeg denied deleting any posts when contacted by The Drive but also misidentified the vehicle as a Stelvio—which it almost certainly isn't. Fiat Chrysler Automobiles declined to comment when contacted. Going by the ride height shown in the image and unnatural shadow beneath the vehicle, it's almost certainly a concept rendering, but from where? Reverse image searches returned no results, meaning this image isn't something published online. 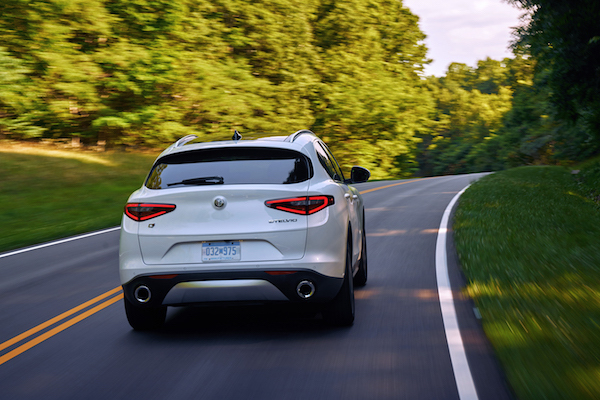 There are three main possibilities as to what this vehicle could be: Alfa's alleged full-size crossover, a "coupe" variant of the stellar Stelvio, or a hoax. Due to the "#AlfaRomeoStelvio" attached to the image by the dealer, the knee-jerk reaction is to assume the vehicle is the second of the three possibilities, though the presence of the "#AlfaRomeoGiulia" (which it certainly isn't) conflicts with this hypothesis. While the Stelvio's rear end may resemble that of the above vehicle toward the bottom, the taillights look closer to those used on the 4C Spider, albeit rescaled. The bit.ly link in the post leads to the dealer's website, and bit.ly itself records 82 uses of the link since its apparent creation on September 12. If it's not a Stelvio, is it possible that seven-seat crossover due in late 2019? Maybe, but with its sloping rear roofline, it'd be hard to fit a third row inside. Then what of it being a hoax? Evidence in favor is the dealership's lack of acknowledgment of the post and the fact that the image comes from a private group meant for humorous content. Also of note is the fact that the vehicle appears to be cobbled together from the parts of current Alfa products; parts of the rear bumper look to be Stelvio, the taillights are likely 4C in origin, while the doors and wheels have lots of Giulia going on. In fact, the fuel filler on the rear fender is in the same location as it is on the Giulia, and appears slightly misshapen, like someone was trying to plump it up in postproduction. Evidence against is the image's lack of existence online, though that could be answered by the idea that the rendering is simply a product of a bored intern. Unfortunately, there's no way to know for sure if the dealership even posted such an image. If it is a hoax, elements like the roofline are well-done, but if anything, we hope this rendering is just a piece of Alfisti fan art—it's too hideous for us to want to see it on the road.